Food is an important part of culture all around the world, and “the Japanese are among the most enthusiastic and passionate of any race”. 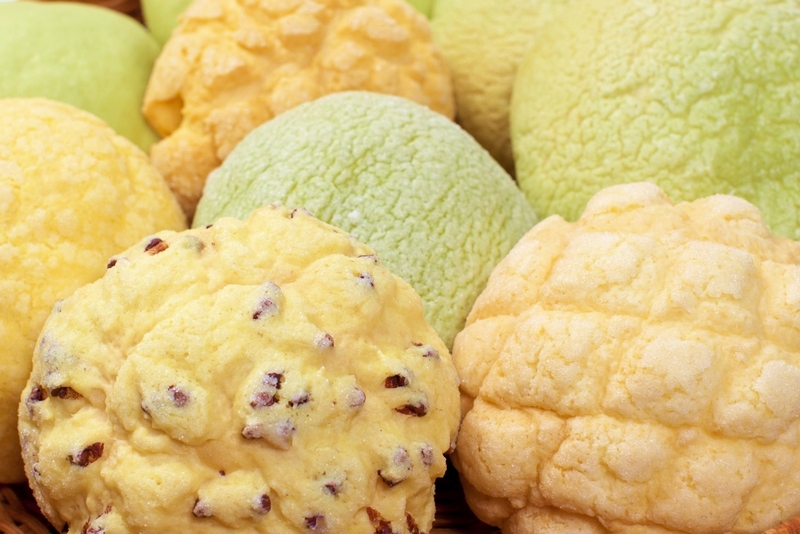 Every town has its local specialty, on every corner you can buy Japanese snacks or drinks. 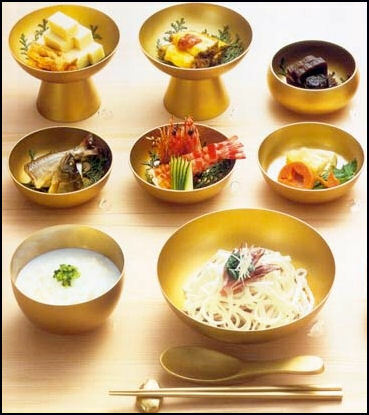 The traditional Japanese cuisine is based on white rice, fish, miso soup, sea weed and vegetables. Red meat was not eaten till the Meiji Revolution (1868), when Japan opened up its borders to western countries and the taboo on the consumption of “four-legged creatures” was abolished. Also, the traditional diet consisted barely of dairy products. Seasoning (soy sauce, mirin, vinegar, pepper, wasabi…) is indispensable. As a result, Japanese cuisine contains a lot of salt but is relatively healthy compared to Western (greasy) food. 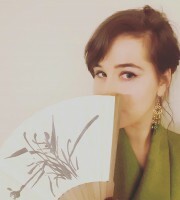 This post is entirely devoted to my eating habits here as a student in Japan. Except for one big meat incident on my second day in Kobe, I managed to remain vegetarian (no meat, no fish). And it is actually easier than I expected. However, I have to admit I make an exception for dashi 出汁, fish stock, used as the basis in miso and noodle soup. There are restaurants with absolutely no vegetarian options, but most of the time there is at least one dish, or you can ask to leave the meat/fish out. This far, people have made so much effort when I request something veggie, that I have never fallen short on food. 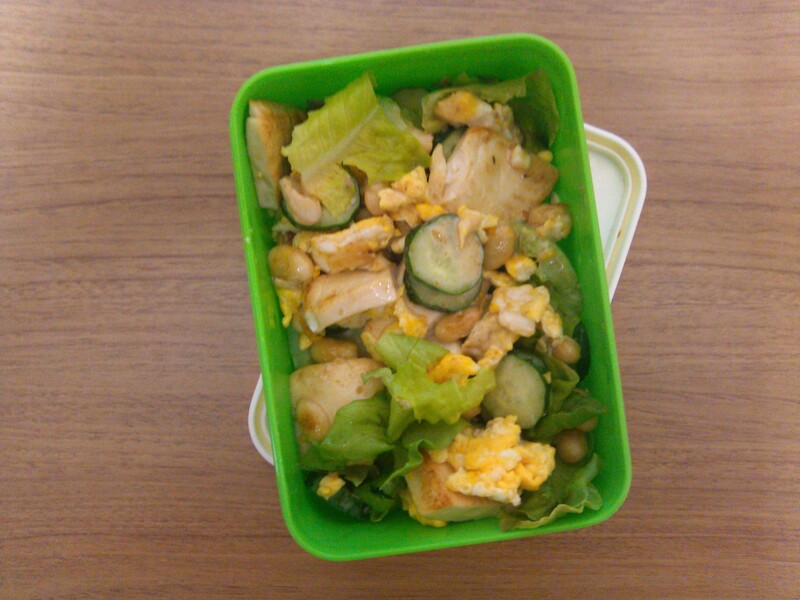 I try to make a bentō 弁当(lunch box) as much as possible. When I do not feel like cooking, I enjoy Japanese or not so Japanese food at the countless restaurants here. Below, you will find a bunch of photos from both home cooking as well as restaurant food. Enjoy! Warning: do not read this if you are hungry. 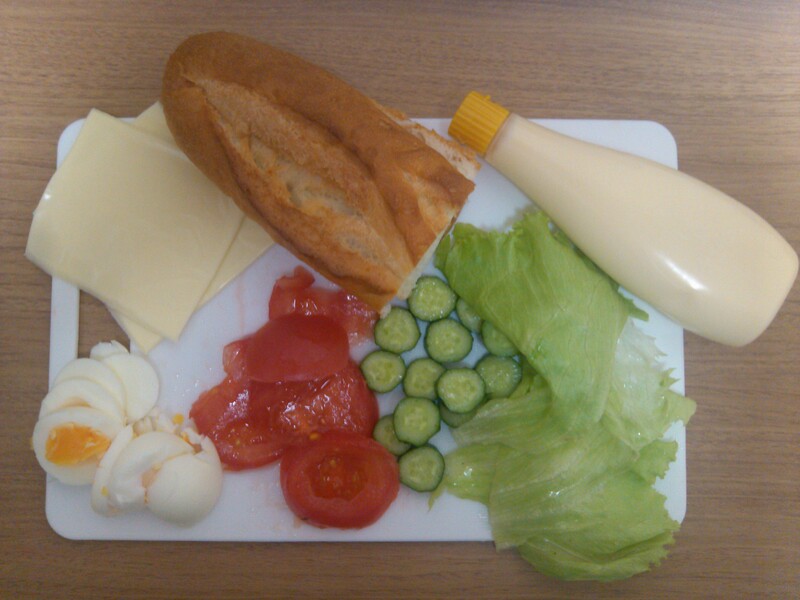 I usually cook with the same ingredients I used in Belgium like tomatoes, lettuce, cucumber (really small in Japan), in combination with Japanese ingredients like daikon, tsukemono (pickles) and Japanese mushrooms (shiitake, enokitake). I am not really good at cooking and I am on a student budget, so I like to keep things simple. 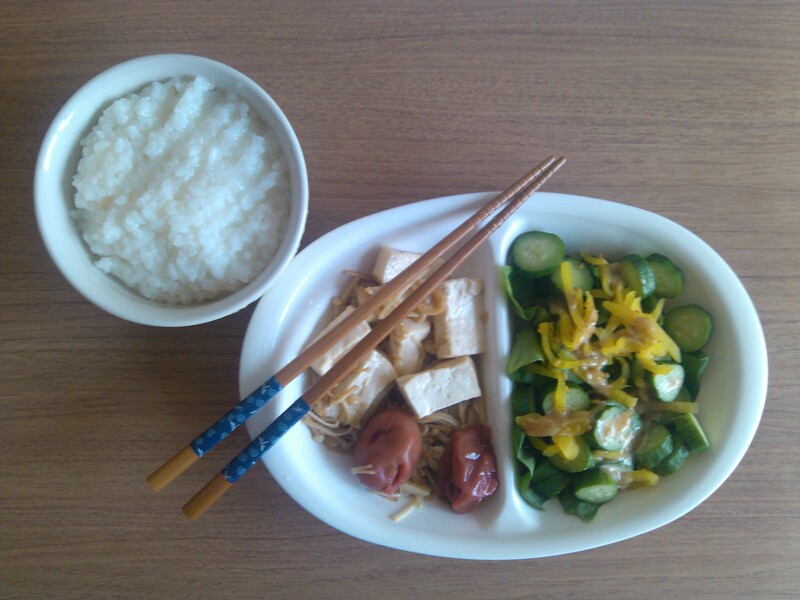 Rice – tōfu, umeboshi (dried plums), soy sprouts fried in soy sauce, – salad: cucumber, Japanese pickles, lettuce, dressing. When I crave for a Belgian sandwich (“belegd broodje”). Brown bread is nowhere to be found in Japan. Funny thing: cheese is wrapped per slice! Bentō is a packed lunch you can make yourself or buy at the supermarket. 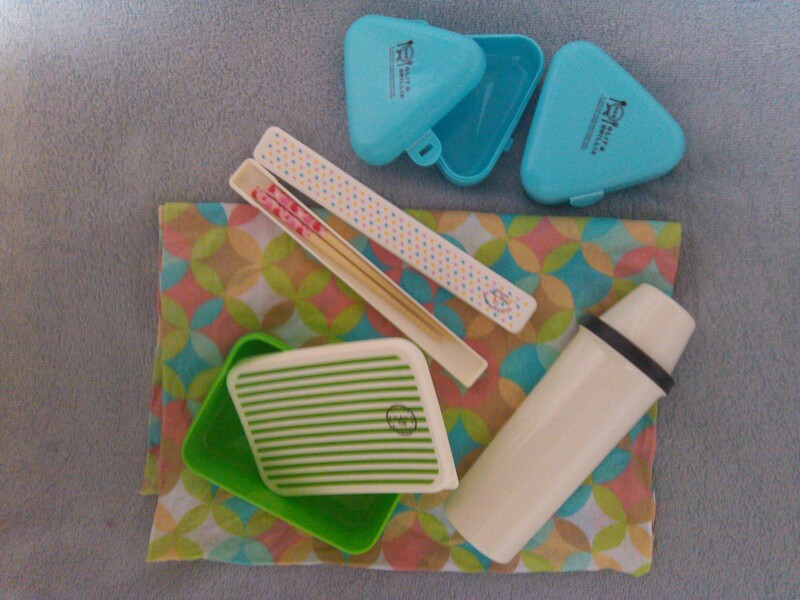 I bought every item of my bentō set on the picture below at the 100 yen-shop. Most bentōs are made with leftovers from dinner and put in the fridge. Because it is pretty time-consuming, making it in the morning has become quite impossible for me. Some people have a special small bag to bring their bentō to school or to work, but I usually wrap it in a colored piece of cloth. I also bought a two-layered bentō box that you can tightly close (a bit more expensive, but certainly worth the purchase). 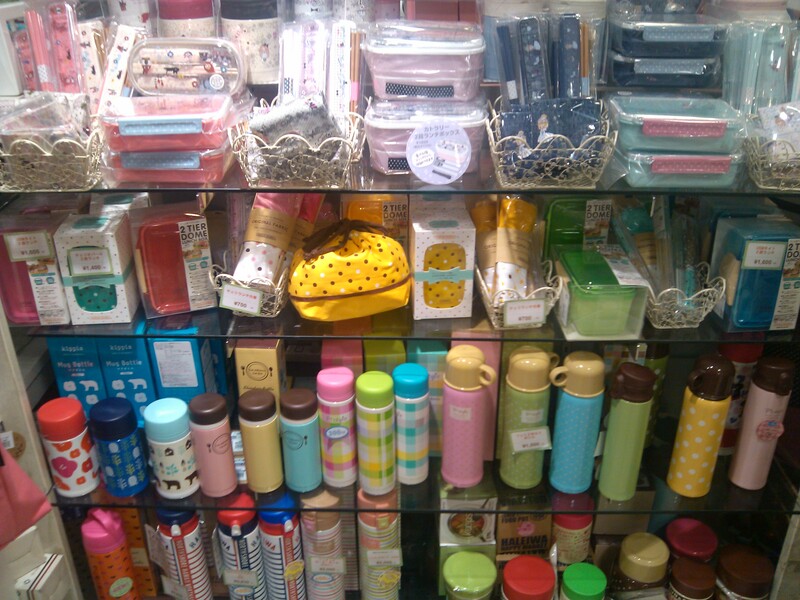 The cute bentō stuff section in a regular shop. 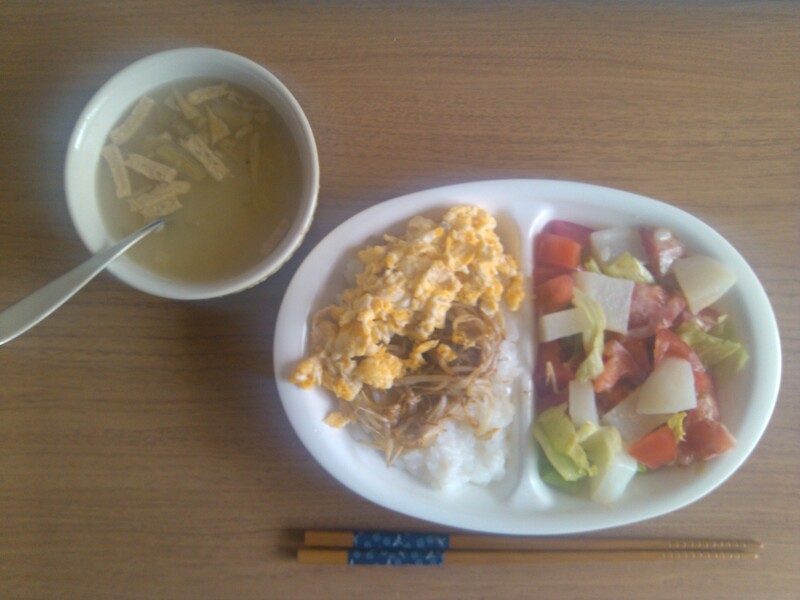 Lettuce, fried tōfu, cucumber, mame (soybeans), egg and I think there are some shiitake hidden in there as well. 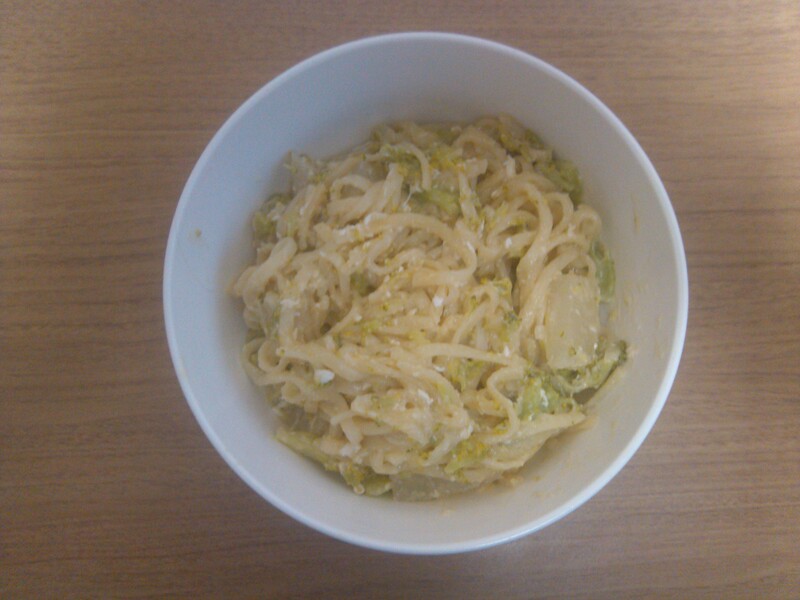 Cold pasta is also great for lunch. 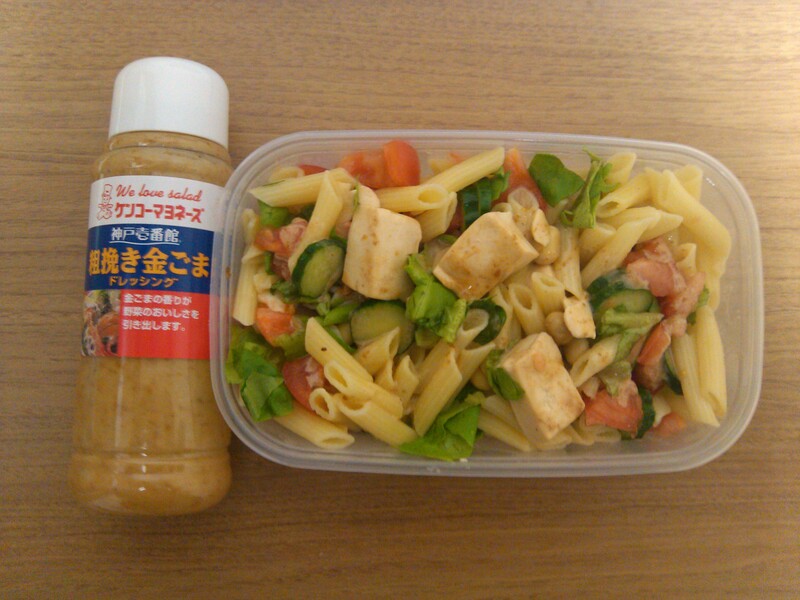 I use this sesame dressing a lot, it is delicious. This is how I make onigiri. I use plastic triangle-shaped molds so my lunch does not get crushed by school books. 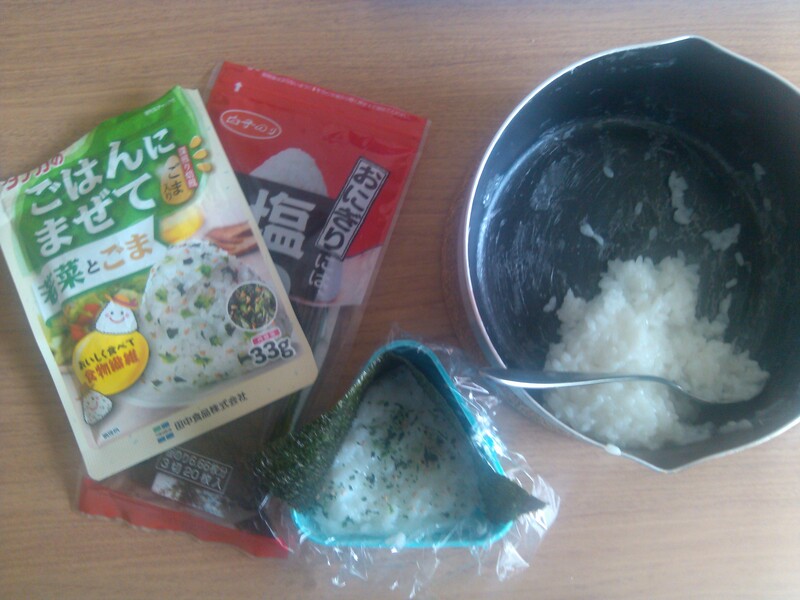 I sprinkle a vegetable and sesame seed mix on the rice and cover the sides with nori (seaweed). Sometimes I add a umiboshi. 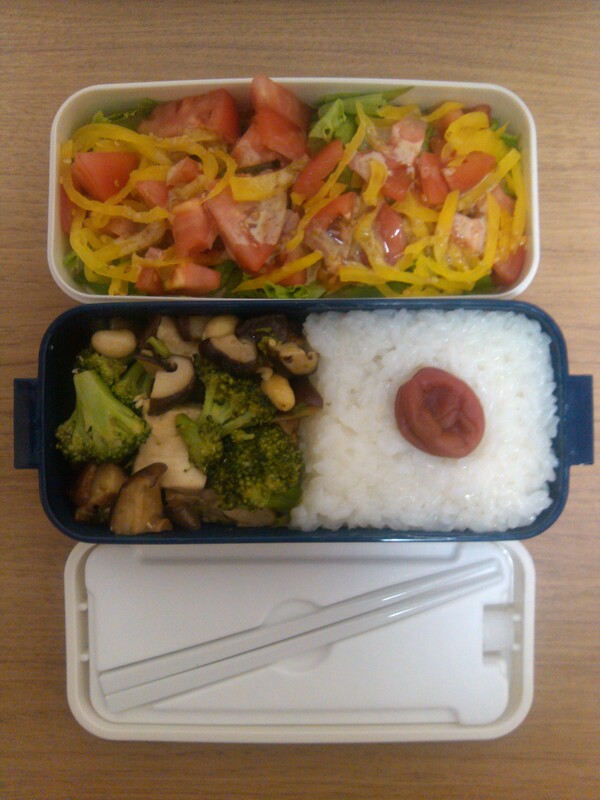 My two-layered lunch box: first layer is rice with steamed vegetables, second layer is a salad. Between them is a compartment with chop sticks and a cold pack for during summer. 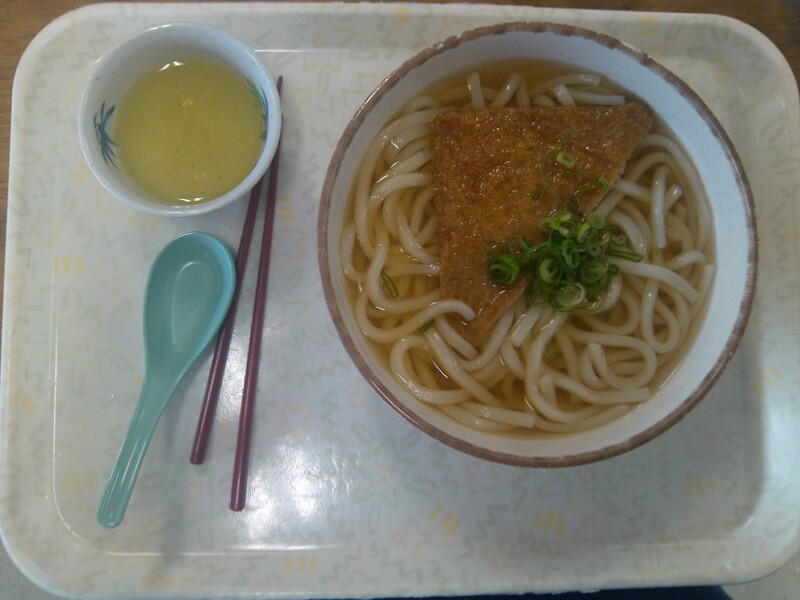 I guess you could not really call this eating out: kitsune udon (thick wheat noodles with fried tōfu and spring onion on top) from the university cafeteria. 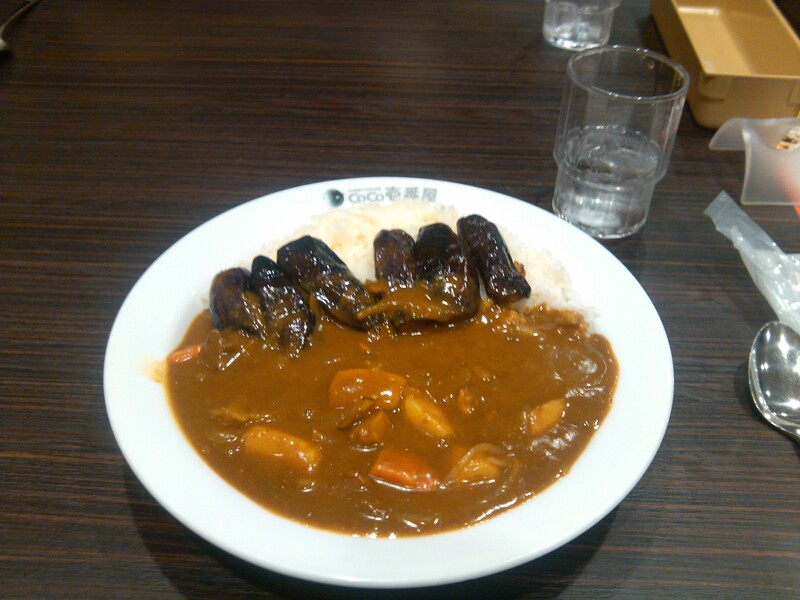 Vegetarian curry rice with extra eggplant. 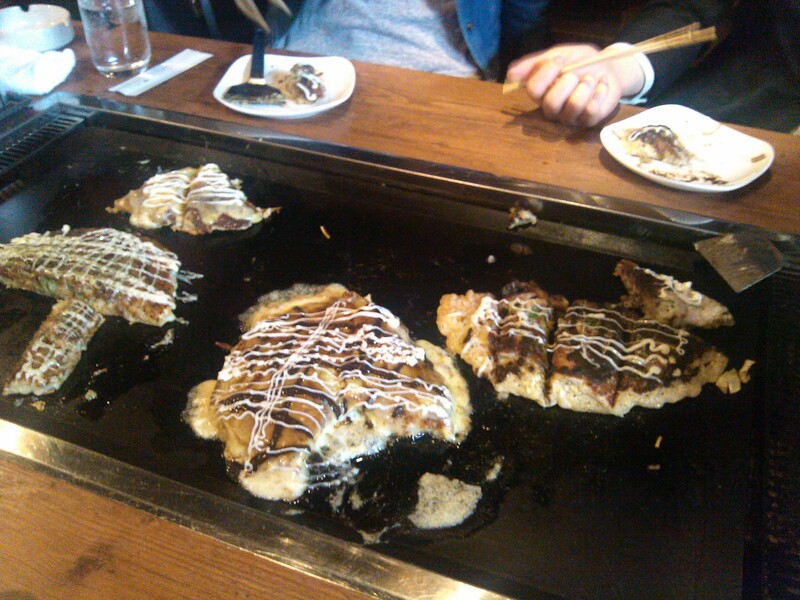 Okonomiyaki – Japanese pancake/pizza. I ordered one with mochi (sticky rice) and cheese. The chef was so kind to leave out the katsuobushi (bonito flakes) for me. A Japanese set meal (定食 teishoku). Usually this means white rice, pickles, sometimes tōfu and a main dish, like nikomi udon this time: udon with fried tōfu and (without for me) meat. 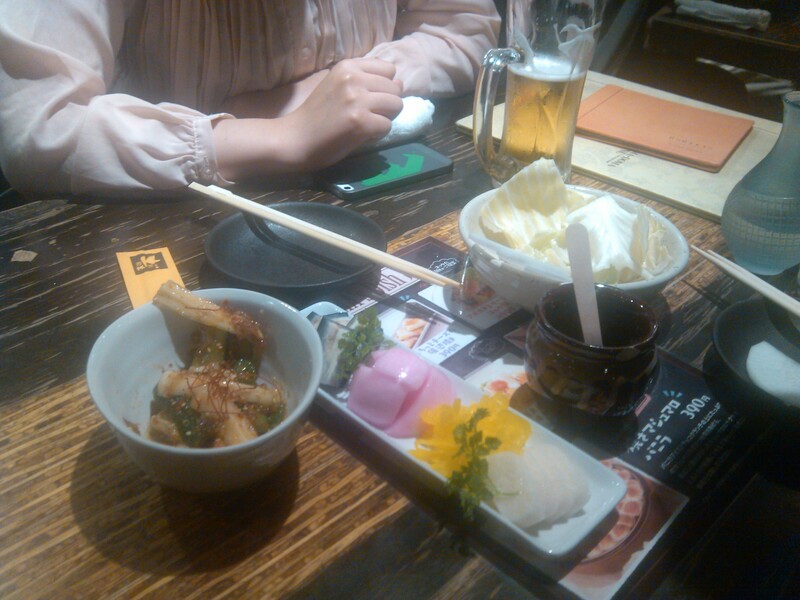 At an izakaya 居酒屋, a Japanese “pub” with friends. Next to a “all-you-can-drink” 飲み放題 (nomihōdai) we enjoyed many dishes, starting with seasoned vegetables and pickles. 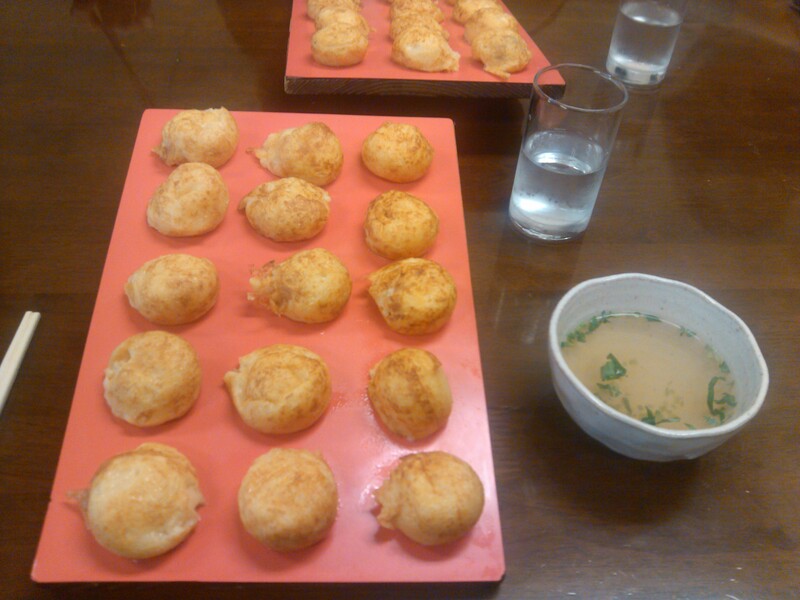 A speciality of Akashi: takoyaki (octopus dumplings) dipped in dashi. Because I got dumplings without octopus it tasted a bit like typically Belgian deep-fried dough balls (“oliebollen”). 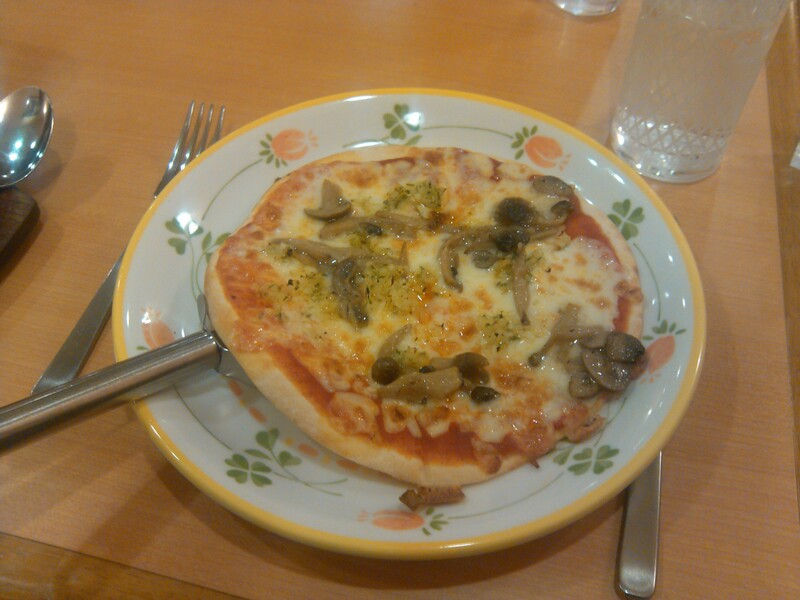 Italian food is popular in Japan too. I have eaten some great pastas before and the pizza is, well, okay. 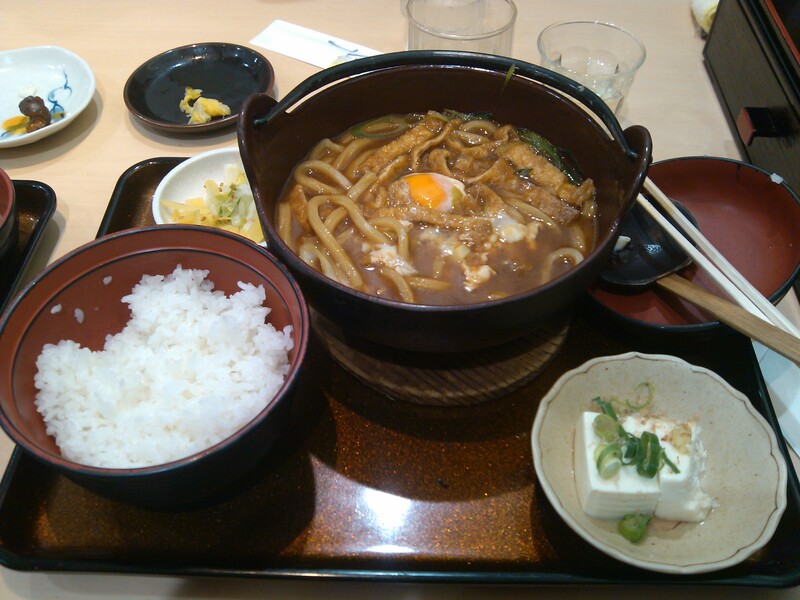 Among Japanese restaurants, the cheapest place to get food is at a “family restaurant”. Prices are ridiculously low, and you mostly get free drinks. Of course the food is no haute cuisine but if you choose wisely, you can score some tasty things. 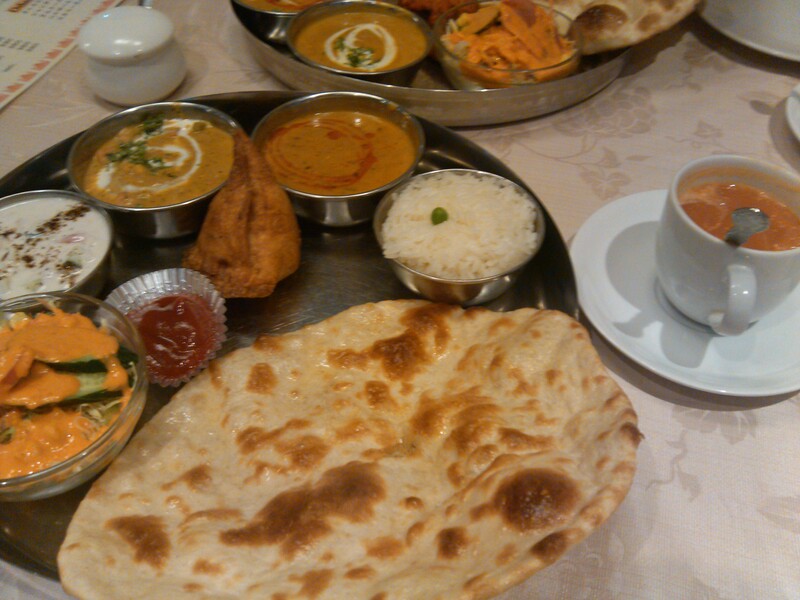 Indian food is great in Japan. I ordered a vegetarian set meal with a salad, naan, vegetable yoghurt, rice, tomato soup, some deep-fried thing stuffed with chickpeas (forgot the name), and two types of curry (one with various kinds of vegetables, the other with beans). I honestly ate too much that day. 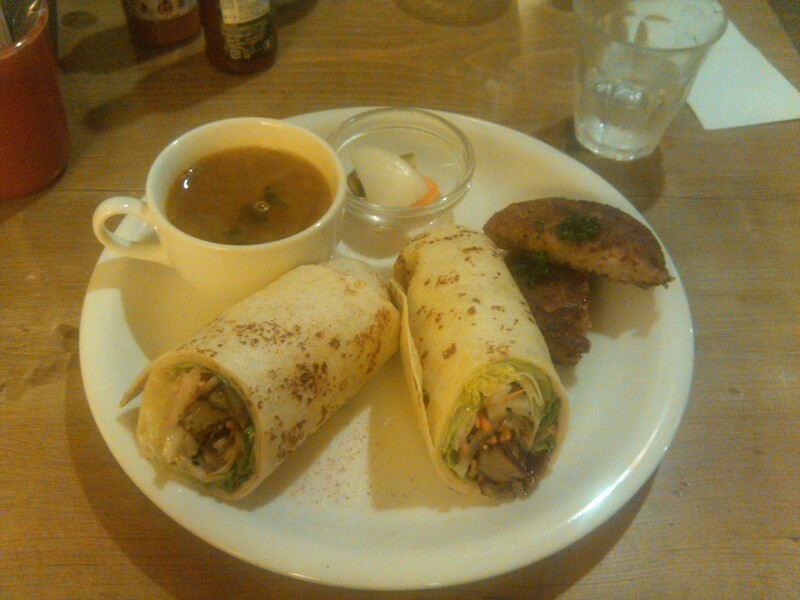 There is a great vegetarian/vegan diner in Sannomiya, Kobe: Modernark Pharm Cafe. wrap sandwiches, tofu burger, soup and pickles. 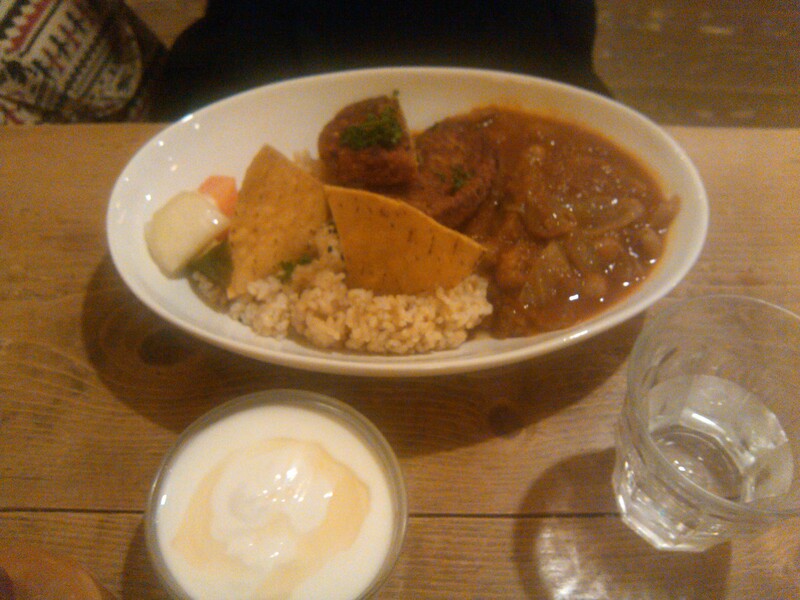 Curry rice with honey yoghurt, pickles and tofu burger. You can find the same cookies and sweets they sell in western countries here as well (洋菓子 yōgashi) – although the chocolate doesn’t come close to Belgian chocolate, of course. The Dōshima roll with fruit from famous shop Mon Chou Chou in Osaka. 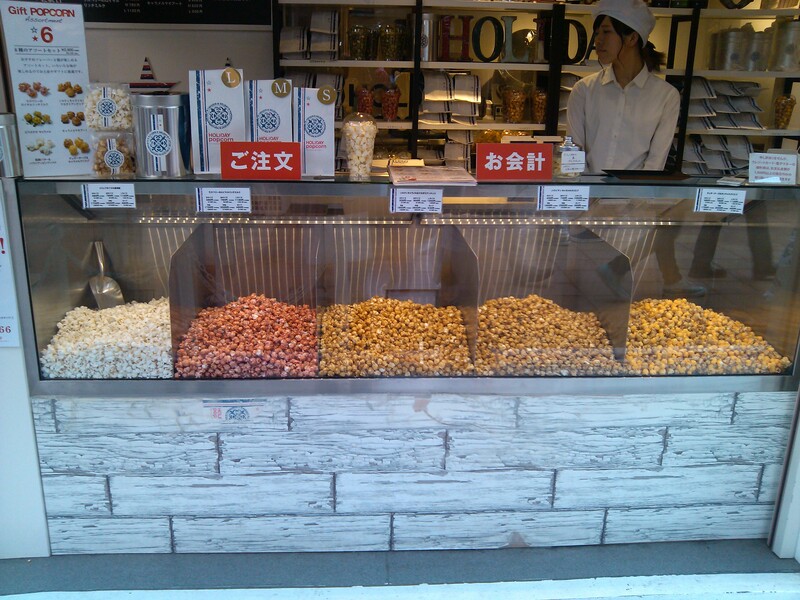 Popcorn comes in various colors and flavors. I personally prefer traditional Japanese sweets (和菓子 wagashi), mostly made from mochi (sticky rice cake) and other natural ingredients, like anko (red bean paste). I would love to share some of my own photos, but unfortunately I forgot to take pictures before stuffing my face with them. 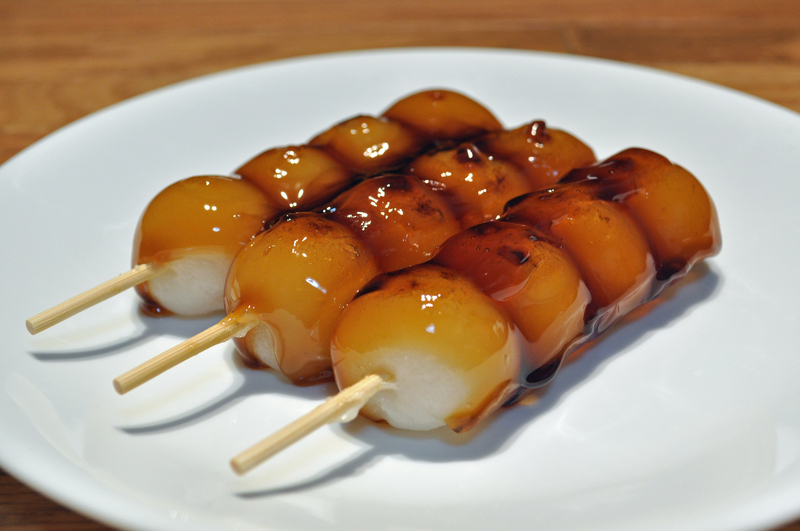 I simply cannot resist mitarashi dango: mochi dumpling with sweet soy sauce. 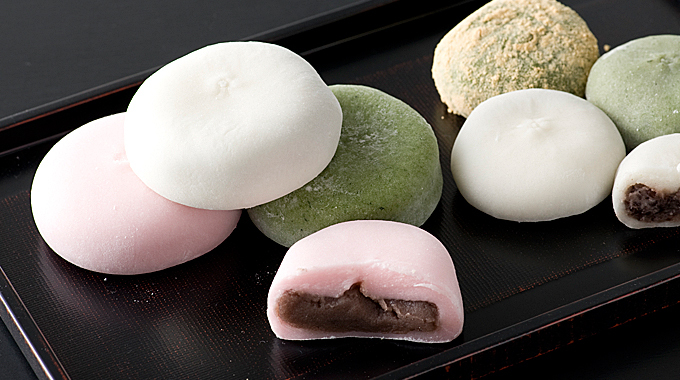 Daifukumochi (rice cake stuffed with sweet bean jam or matcha) has a soft texture and is delicious as 4 o’clock snack. 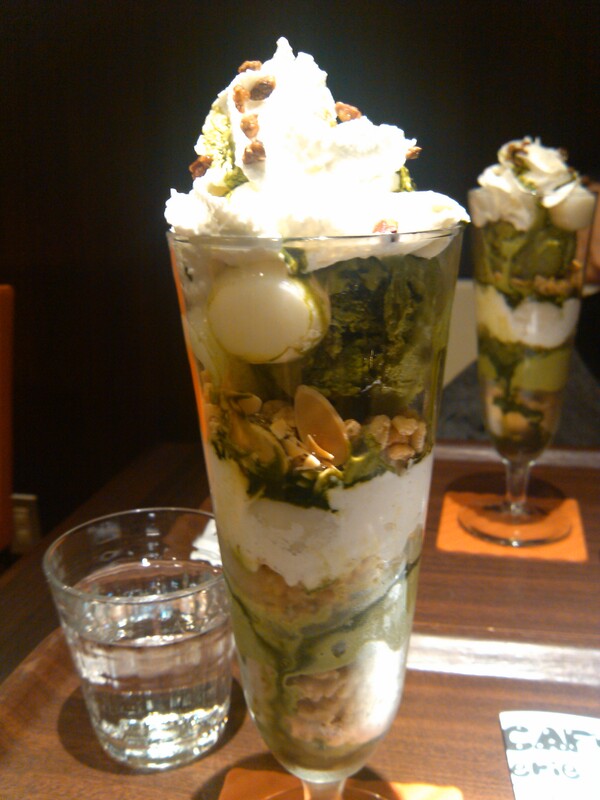 It is not too sweet and very filling. Less traditional is melon pan. 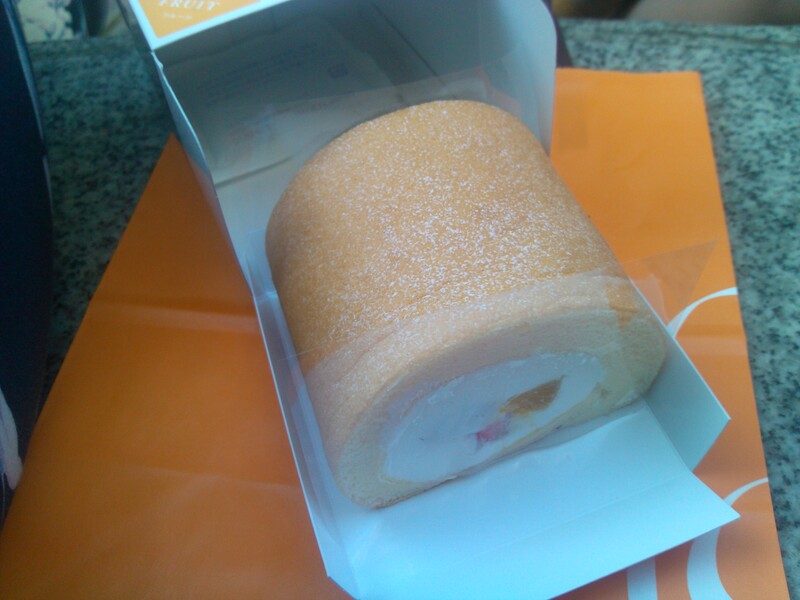 This sweet bread has, except for its pastel color, nothing in common with melon. There are versions with extra butter or chocolate chunks. 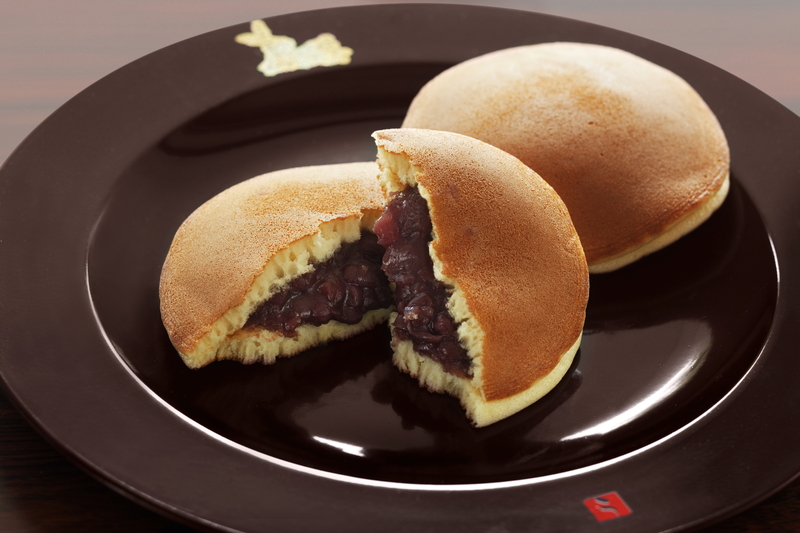 Dorayaki – Doraemon’s favorite snack – is bread filled with sweet bean paste.